The Olaf Panel Has Arrived! Hello to all of our quilting friends! Springs Creative's Limited Edition Olaf Panel has arrived! 2 bolts came in yesterday and after setting the pre sold panels aside, we currently have only 10 panels available. We will be receiving a couple more bolts, we just do not know the delivery date. 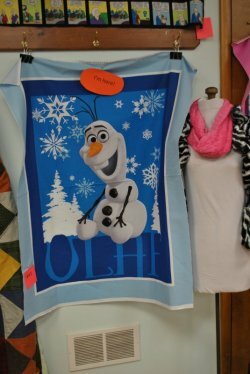 Olaf is a one run only printing. If you want or even think you want this panel, it would be a good idea to get it as soon as possible. Once they are sold out, that will be the last time you see this panel. After we receive the remaining 2 bolts, it is doubtful we will be able to reorder this panel. Disney is said to be releasing Frozen 2 within the next year. The kids will not be forgetting Olaf and his friends anytime soon. I know Christmas is over but this panel would make a great birthday or Christmas 2015 present for youngsters ages 4-400 years old. I'm off and running to see if Grandma will make me a quilt out of Olaf! 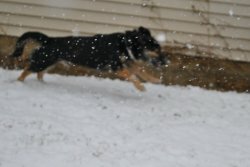 I love snow & he's made of snow! I really, really need a quilt with Olaf on it! If Grandma makes me an Olaf quilt, that means there will only be 9 panels left in stock until the other bolts arrive. 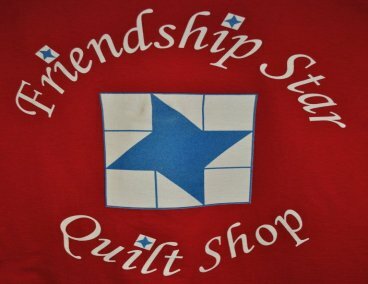 Mom & Grandma have 4 different Frozen fleece fabrics & a nice selection of cotton & flannel Frozen fabric.